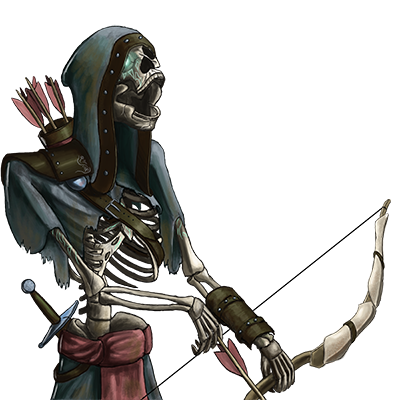 The most powerful of the undead archers invariably end up being those who were themselves archers in their previous life. They wander the fields of battle, guided by the fading memory of their former skill, neither knowing, nor caring what their purpose or foes might be. They are driven only by a malice born of their empty and tortured existence. Specielle bemærkninger: Denne enhed kan flytte uset i dybt vand. Den kræver ikke luft fra overfladen. Last updated on Sat Apr 20 00:45:44 2019.